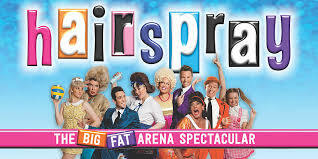 Cooper F. and Libby D. will be performing in “Hairspray the Big Fat Arena Spectacular” at the Entertainment Centre in October with Tim Campbell, Christina Anu and more. Ex student Amber F. is also in the production. Tickets are available now through Ticketek. Ethan S and Jemma C also selected :). Not forgetting Jemma C and Ethan S who also have parts. Congratulations to all of you. I for one can’t wait. ?